Hi there! 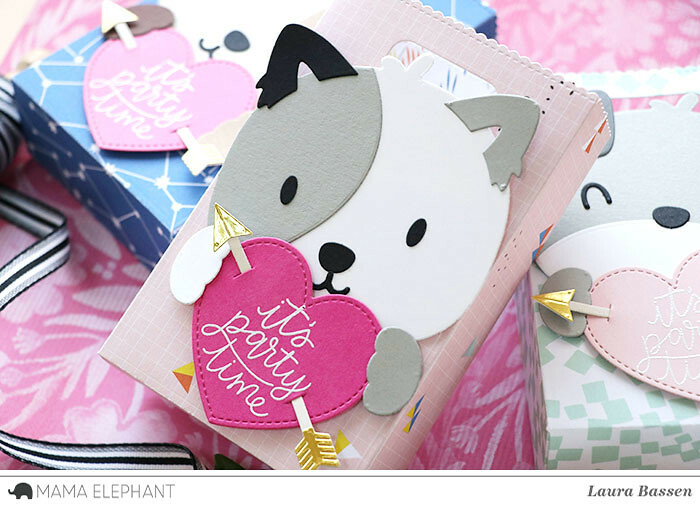 Laura here and today I have some Valentine Favor Bags to share with you featuring several of the new January products. 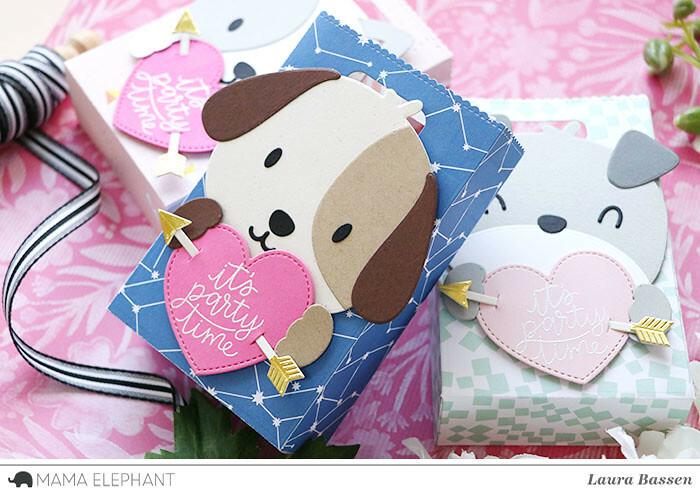 To begin I used the Favor Bag Accessories-Dog Creative Cuts to make these adorable puppy faces. I also used the Favor Bag Accessories-Love Creative Cuts to add the hearts & arrows. 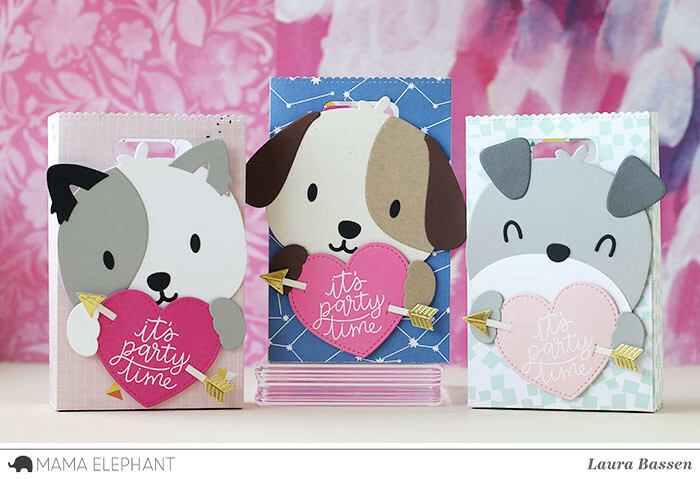 I embossed the sentiment from Scripty Bday onto each heart and adhered everything onto the bags that were die cut using the Favor Bag-XL Creative Cut. 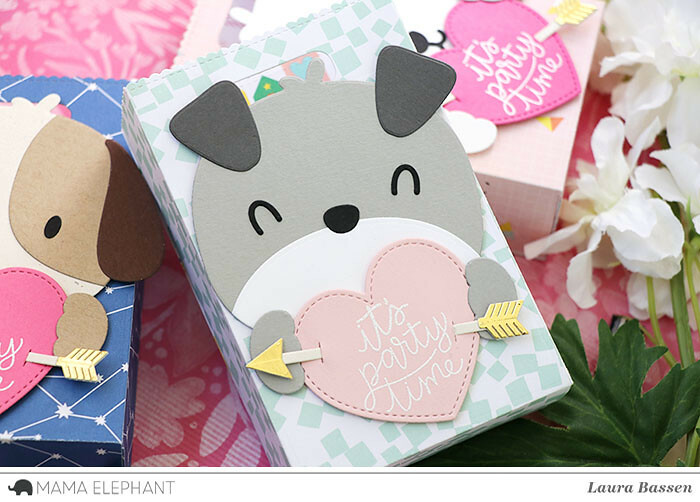 Here's a video to show you how I created these Favor Bags. I agree those are adorable. So very cute. I can just see my cats holding a sign saying "it party time". Goodness gracious. Those are too too cute!